I bought this watch as I wanted all the feature set it had. 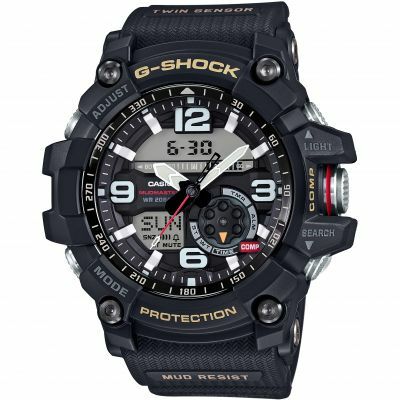 I could have gone for a Pro-Trek which would have been a cheaper option but in the end I settled for the GShock as it had more protection. This watch is big, but I have had large watches in the past and was not put off the size at all. Menu/Settings are pretty easy to use and I've setup the watch the way I wanted it in about 20 minutes or so including setting of Temp/Alt/Pressure against my Professional Davis Weather Station. I purchased this with discount code getting approx £65 of the RRP and took out the 12 month 0% interest option which as very easy to do. I had my watch delivered to my front door within 18 hours of setting up the Finance and payment on a Friday afternoon which was unbelievable fast. Must say the Watchshop pulled out all the stops and have done a great job with my Order. 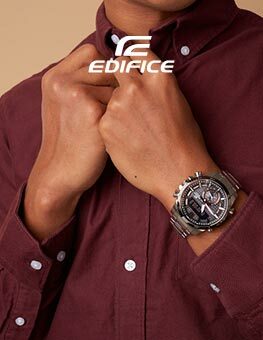 I would definitely recommend this Watch and, WatchShop to my friends. I bought this watch as I wanted a idistructable time piece to suit my lifestyle, I can’t fault it in anyway and would recommend it to anyone. 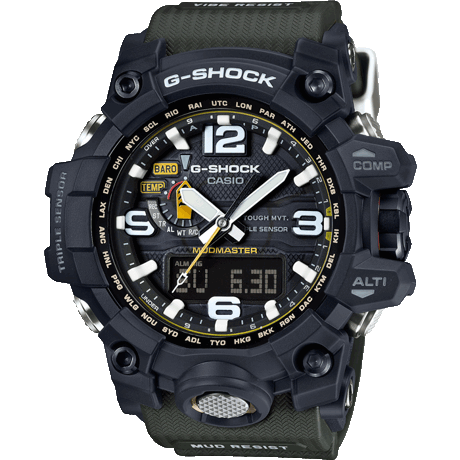 Took me a while to decide on which G-Shock to go for as there are so many but the second I set eyes upon this one I wanted it, the chunky rugged design looks so great on your arm and it gets so much attention. You will certainly be at the envy of al your mates with this watch. So ok the functions take a little getting used to but once you have your head round them you wont be able to stop pressing the button to check the Temperature or see your current altitude. 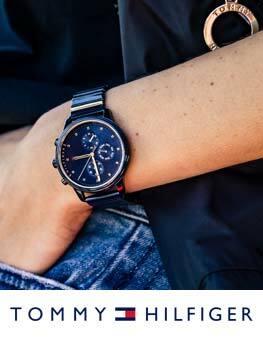 if you want something that looks stylish yet functional for every day use this is the timepiece for you. Recently purchased at what I thought was a cracking price and duly delivered thanks to usual, excellent Watchshop service. Delighted with what was in the box, very solid, really well built with all the sought after features demanded by G Shock enthusiasts. Very desirable...until trying it on! I can only describe it as a beast. It is a big watch and it wears very big and bulky. It is not especially heavy at around 120g but I simply could not get a comfortable fit on my wrist and there is no way it would fit under my shirt sleeve or a jacket sleeve. 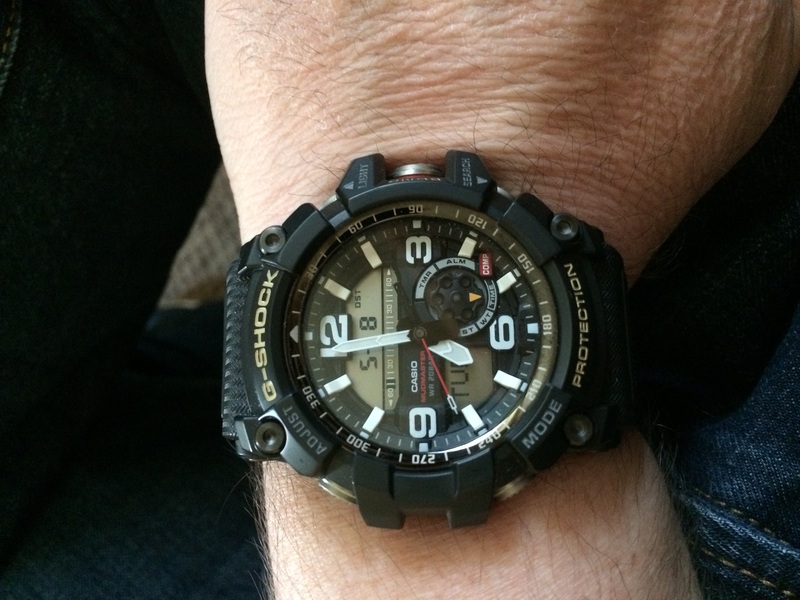 Sadly, this G Shock has crossed the tipping point for my 7.5 wrist, although I could imagine it would be fine for those of a larger build or looking to make a statement although this timepiece is not exactly bling. For me, it is simply not a daily wearable proposition so sadly it has had to go back. For those wanting an indestructible probably! 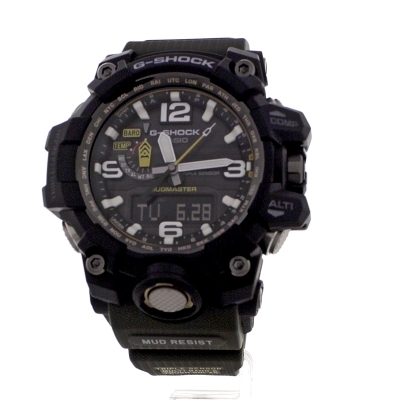 monster tool watch, with all the G Shock features, you wont be disappointed. For everyone else, just be aware this is a substantial piece of wristwear that wears bigger than the dimensions say it is. If only G Shock could package all this into something that was 20% more compact...still 4 stars for everything else about the watch, but unfortunately just not on my wrist. 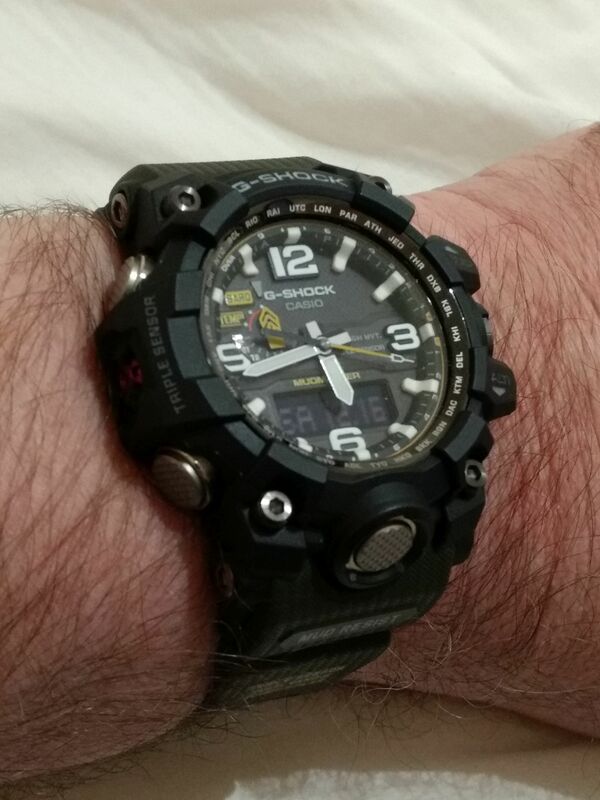 I bought the Casio G-Shock GWG-1000-1A3ER as I wanted an analogue watch that had a high contrast face/hands, indestructible, big, clear, military-looking, very accurate and solar-powered. That is exactly what I got with this watch. It is the best looking and most suitable watch for me that I could find on the web, and having ordered many watches and sent them back, this is a keeper. I dont think it possible to find a watch that would be a better fit for my lifestyle than this. I walk, climb, shoot, swim, dive, run. I wear this watch for everything, both in the day and also at night as that is my preference as I enjoy night-time based outdoor activities just as I did in the army. It cant be beaten for its ability to provide me the information I want, when I want it and without issue. If this watch ever breaks, Id be amazed. My friends and colleagues have all shown a real interest in this as its a quality watch that has a real purpose and does it vey well. I have nothing but praise for this watch, and that is unusual for me as I am very critical. I would have liked a choice of straps with the same face as this, but sadly there is no choice. However, after a short while with the watch I love the green strap - its not that obvious and the watch body and strap go very well together. Usually when a parcel arrives for me at work, my colleagues ask me when will I send it back as they know I am very picky. If they had bet on this being returned, theyd have lost. Again - this is absolutely excellent. You will not be disappointed in this in the slightest. 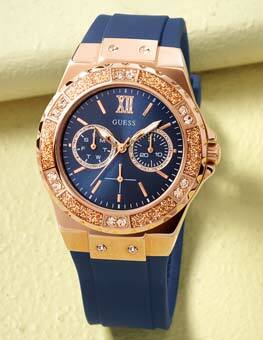 Great watch great price and great delivery service. 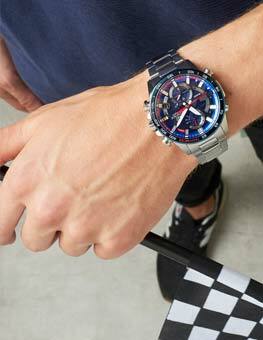 This is a fabulous watch, bought for my sons birthday. He is over the moon, fulfills all his expectations and more! The service from Watchshop was flawless so we are both very happy. 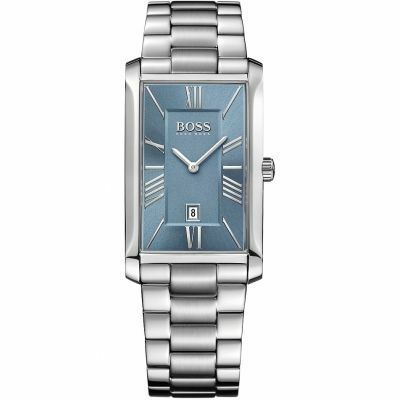 I was able to use an online discount voucher so a big saving making Watchshop head and shoulders above other retailers. Cant recommend highly enough. Fantastic watch! Bought this for my husbands Christmas present and he was delighted with it! The features are endless on this watch! Thank you watchshop for your speedy delivery and for keeping me in the loop with the progress of the delivery! Brilliant service! Arrived promptly, all boxed and ready for wrapping. The watch is exactly what I wanted. Excellent service.